LEED AP ID+C professionals must maintain 30 hours of CE (including 6 hours of LEED-specific) every 2 years. The purpose of credential maintenance is to encourage learning experiences that demonstrate continued competency and up-to-date industry knowledge. All LEED professionals are required to maintain their credential by earning continuing education hours. LEED Green Associates must earn 15 continuing education hours within 2 years of earning their credential. 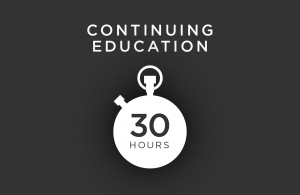 LEED APs must earn 30 continuing education hours within 2 years of earning their credential. You can earn hours through these activities related to green building: education, project experience, authorship and volunteering. Access the CMP Guide for additional information about LEED professional credential maintenance. LEED-specific is defined as an activity that has an explicit connection to credit categories, credits and/or prerequisites found in any of the current LEED rating systems. For LEED APs, LEED-specific CE hours must relate directly to their specialty. Credential holders will have 90 days to renew and report hours previously earned within their reporting period, which starts after the reporting period has ended. You will not be able to earn hours during this time. If you don’t report enough hours and successfully renew by the end of the past due period, your credential will expire. GBCI will audit a percentage of all credential holders at regular intervals to ensure that they have the documentation to substantiate their claims of continuing education. GBCI also reserves the right to review any reported CE hours at any time. If you are selected for an audit, we will ask you to verify your completed activities with the appropriate documentation, so be sure to save documentation of hours earned. During this process, GBCI hopes to get a better sense of your experience pursuing CMP activities.